Tommy McKay, 32, won the poll – hosted on the SPFL Facebook page – which included a high calibre of strikes from the likes of Jayden Stockley, Tom Rogic and Joe Dodoo. McKay stormed to the award, claiming a whopping 80% of the votes cast. The result is all the more remarkable considering Tommy had his right leg removed as a child following a cancer diagnosis and performed his audacious lob while on crutches. 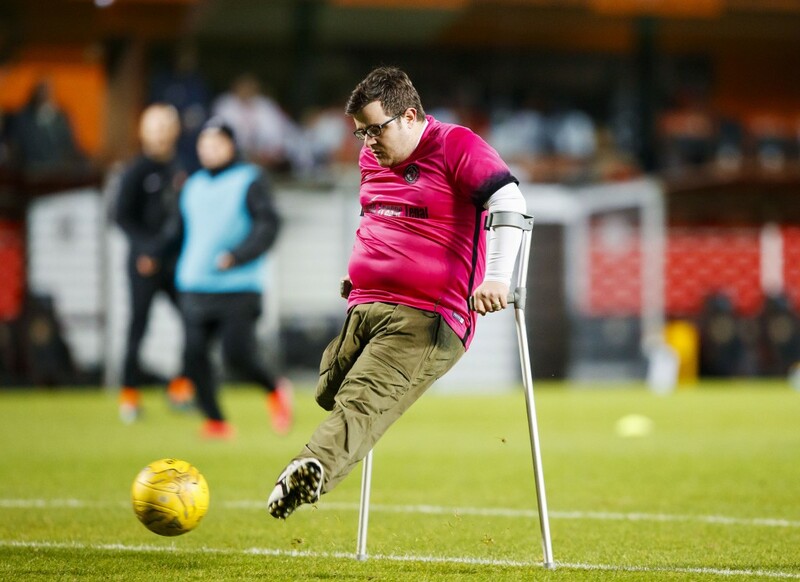 His goal came in the McEwan Fraser Legal Home Advantage Challenge in front of 6,000 fans at Tannadice during half-time in the Terrors’ November 8th clash with Dunfermline. Footage of Tommy’s strike has since gone viral amassing online views in the millions and praise from football fans around the world. To commemorate his achievement the SPFL and title sponsor Ladbrokes ensured Tommy’s goal was added to the list for the monthly poll of the best strikes across all SPFL competitions and the public responded in kind, voting it the top goal by a sizeable margin. 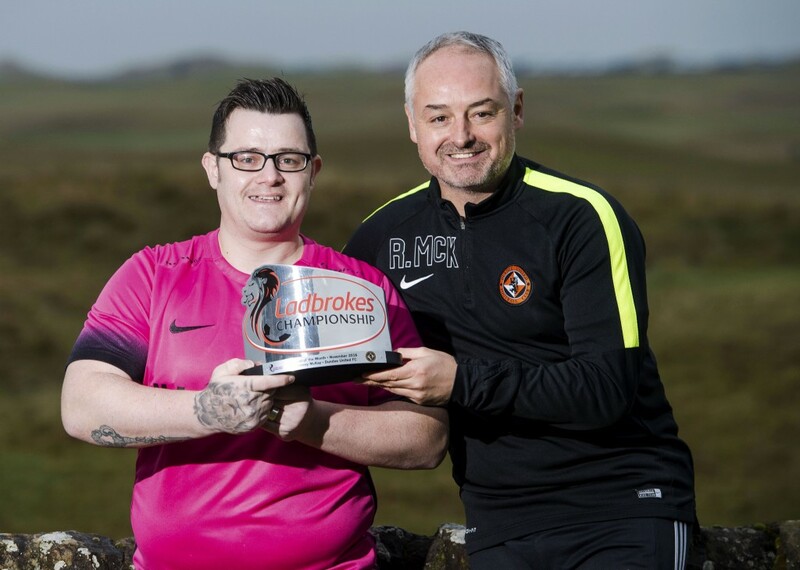 As a result Ladbrokes today arranged for Dundee United Manager Ray McKinnon to award Tommy with a commemorative trophy plus a season ticket for season 2017/18. Tommy McKay, who plays regularly through the Amputee Football Association Scotland (AFAS), said “To have been chosen as the Ladbrokes SPFL goal of the month for November is completely overwhelming. David MacDonald, Media, Sponsorship and PR for Ladbrokes, said “It is stories like Tommy’s that make us love being part of Scottish football. “Not only has he shown great heart and skill with a dazzling finish, but the response and outpouring of praise from his fellow fans has been amazing to see.